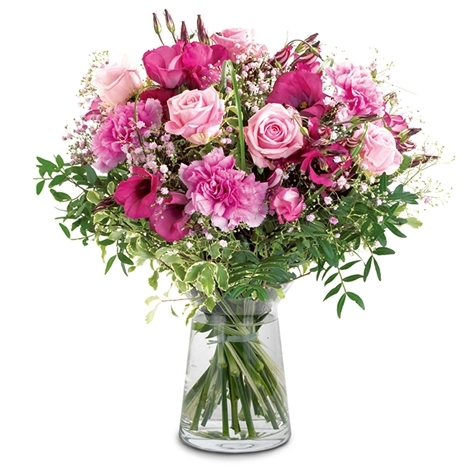 A hand tied bouquet of seasonal flowers in pink - a real eye catcher. The perfect gift for birthday and to express particularly deep affection. Personally to the recipient leaves the Bouquet jump every heart beat!